1. How big will each book be? 2. How many will there be? 3. How often will they be released? 4. Are they stand alone or cliffhanger? 1. When is Last Shadow being released? 2. When is Sins of Silver being released? 3. Do you have a list of your future releases? 4. When will Je suis a toi be released? Tears of Tess was 107,000 words, Quintessentially Q was 117,000 words, and Twisted Together was 173,000 words. That’s a total of: 397,000 words. The Indebted Series will be this size, if not longer, but published slightly differently. This is so I can bring a new book to you more often while I also work on my other commitments. Each book will be 50,000 words or more so a BOOK size, not novella. Each one will follow Jethro and Nila as their story is involved, full of twists, and not able to told quickly. I aim to give you darkness and temptation and a vintage feel to a modern story. I’m not sure how many books there will be at this stage. If I stick with the guideline of Tess and Q’s length of story, I’m guessing six to seven. Price wise the first book will be priced at 0.99. It will FOREVER be priced at 0.99. Yes, they will probably end on a cliffhanger as you’ll have to wait to hear more from the characters, however each book follows a single debt that will be concluded in that one volume. If you have any other questions, just let me know and I’ll do my best to answer them. There will also be an Indebted Book Club set up on Facebook and Goodreads to buddy read and discuss while reading. I’ll be posting those links very soon. This is hard to answer as it was in talks with a publisher but has since been paused for now. I can’t commit to a release date as I’m over committed at this stage and don’t want to disappoint you. I can say it won’t be 2014, though. And I apologise for the delay but hope you’ll forgive me with delivering other titles. This one I have some very exciting news. Upon reflection, Chantal Fernando and I agreed we are too different in our writing styles to do a collaboration. She has recently written her own MC series called Dragon’s Lair and available now on Amazon. As the concept for Sins of Silver was mine (and she wasn’t too keen on doing a dark, dark book, she has kindly let me write this book on my own.) I love her to death and know that she’ll be very successful in her new MC series. Because Sins of Silver was a title for the joint project, it’s unfair of either of us to use it as a single author. So, I’ve renamed the book and will be able to release that VERY soon. I’m very excited to advise that this book has been signed by Grand Central (along with a sequel set in the same world) and will be releasing Feb 2015. The moment I’m allowed to release the cover, the title, and pre-order links, I’ll be splashing them everywhere. So to simplify my long answer, yes the book is coming under a different name and more information is coming very soon. Q and Tess’s story will come, but I have a lot of books to write between now and November (I have to deliver the draft of the MC book to Grand Central on the 2nd of November) so I’ll be flat out completing that commitment, however I’ll do my best to deliver before Christmas along with releasing the Monsters in the Dark boxset with the extra bonus of the novella in time for the holidays. Hope that helps and everyone had a great weekend! This is brilliant news now I know when all these amazing reads will be available. Your writing just blows me away, you have an amazing talent for writing dark reads. Destroyed was a beautiful story that captivated me to read the book in one sitting it was just brilliant! Monsters in the Dark was just The Best each book just amazed me in every way that I was feeling the pain and the love for Q and Tess I can’t forget these books, once read they just stay in my memory bank, the way you write makes me see the characters so vivid it’s a surreal moment in most parts of your story telling. Thank you for the information,i just have 1 question left. Will your upcoming releases be made available on the dutch iBooks? Can’t wait for your Indebted series and hearing more from Tess and Q is such a treat,i love them! Thanks for the update pepper….appreciate it..
Great news, I ♥ all of them. 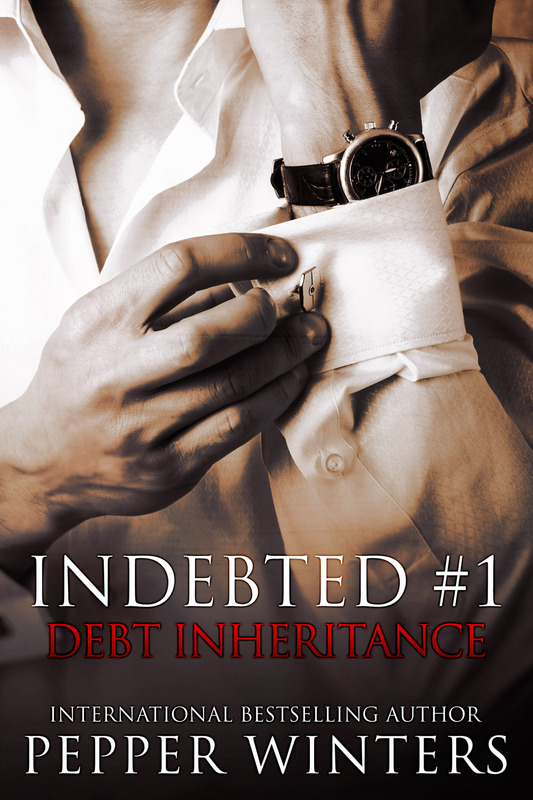 Will you release Indebted Series on paperback? I’ll release on the 18th August 🙂 The rest of your question is cut off so I don’t know if there was more. SOrry! Thañk you for the update love test iTunes Australia have your books. Your stories are amazing and looking forward to your dark MC series. I am so addicted to Debt Inheritance Series. I can’t put them down. I can hardly wait for Jan. 26, 2015 for the next book.